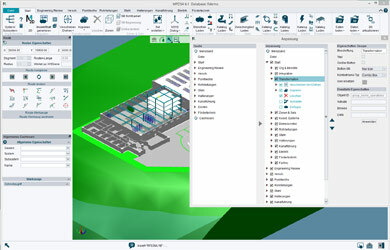 The MPDS4 plant design system is a database-driven suite of powerful, multi-user plant engineering applications, providing the complete solution for every plant design or factory layout challenge. 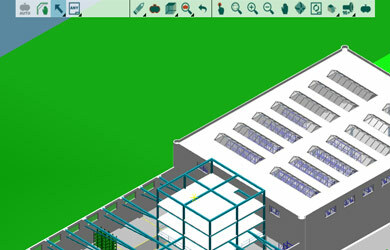 The system allows plant designers to plan and design complete process lines, plants or factories regardless of size. The ribbon menu has proved itself in diverse applications within the software world. Navigation is easy because the functions are structured clearly and divided into context-specific groups. Therefore, complex 3D designs can be created faster. We have continuously developed the dashboard as one of the most productive tools in our systems. Not only it now has a permanent position on the left side of the application, but also includes all the context-specific properties and functions for the current task. 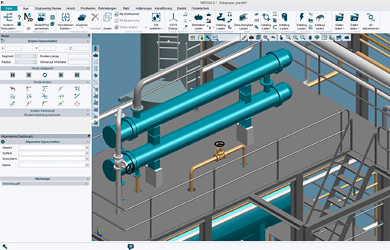 When drawing 3D designs, the dashboard displays all the relevant context-specific information such as properties of the routing tool or of the 3D models and catalogue components. The MPDS4 user interface has been optimised for all commonly used resolutions in modern screens. The most common screen resolutions for laptops have also been taken into account. 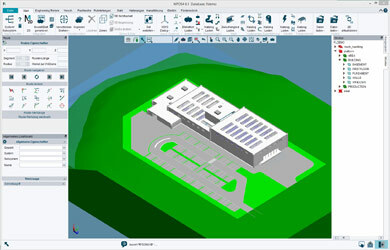 If necessary, the ribbon menu can be minimised to create extra space for the model drawing area. The icons can be scaled in three different sizes, so that they can be made larger or smaller as needed. 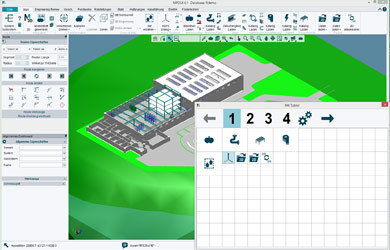 The individual dialogue boxes, such as the dashboard and the structure tree, can be detached from the user interface and moved to another screen to free-up extra space for the drawing area. To reduce cursor movements to a minimum, and to ensure there are no functions duplicated in ribbons or the dashboard we have added two In-Sheet Graphics toolbars. These tool bars, are translucent, unless the cursor is over them, contain the most commonly used viewing tools, selection filters and sheet navigation tools. In addition to the normal menus, MPDS4 also offers users a menu that is optimized for tablets. It consists of a configurable area where individual functions can be placed, in the form of icons in various sizes. The tablet menu was designed for touchscreens and tablets, but it can also be used as a dialogue box on a second monitor. Ribbon menus can be used to club together all important functions in MPDS4 into a single “Backstage” area. 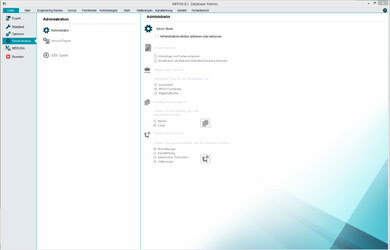 This includes not only the Export function, but also the Options dialogue box or administration tools. The user interface is completely customisable at three levels. A user can show / hide / change button size of tools in the ribbon of dashboard. A user can also copy buttons to the tablet or shortcut area. A single command returns the interface to the startup state. 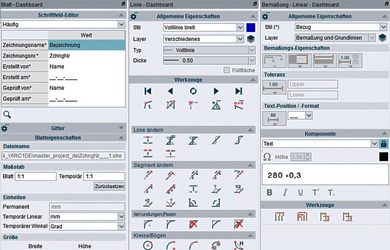 Administrators can manipulate buttons, groups and even ribbons to create an optimal company or department user interface.